Susanne from New Jersey lives close to the ocean and loves the beach. It’s quite a different life and experience after she grew up in Berlin. The spectacular view you can see is of the Barnegat Lighthouse located on the northern point of Long Beach Island. The lighthouse was built in 1857-58 and was first lighted on January 1 1859. 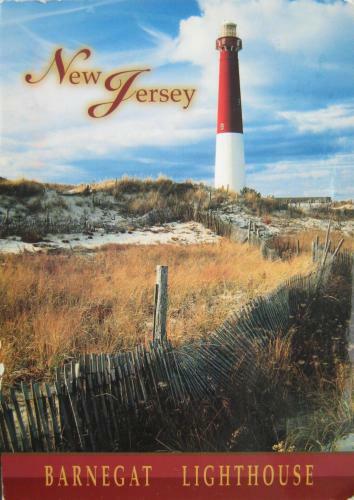 This entry was posted in Postcrossing the world and tagged barnetgat lighthouse, new jersey, postcard, postcrossing. Bookmark the permalink.